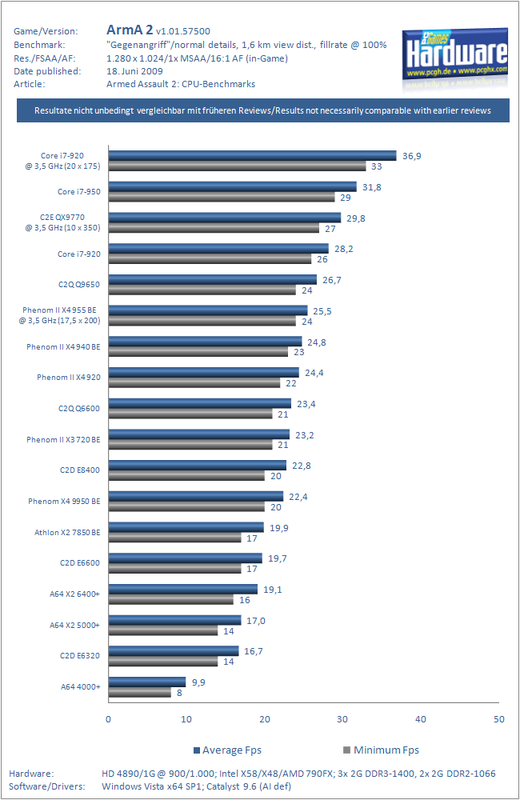 The PC Games Hardware Benchmarks For ArmA II CPU and Graphics card are now also available in english. I hope this info can help players make an informed decision about ArmA2, performance, and their current computers. It should be noted that running ArmA2 on Fillrate setting above 100% is not recommended due to its drastic effect on performance.